Kanye West is reportedly trying to get Kim Kardashian to "soften" towards Beyoncé Knowles. Kanye and Beyoncé's husband Jay Z are good friends and have even been on tour together. However, their wives don't get on quite so well, with speculation the singer is not too impressed with the reality TV star. Earlier this year it was claimed that Beyoncé asked not to be seated too close to Kim at the MTV VMAs, but she's apparently now had a re-think. "As far as Kim's concerned, the damage is done - she thinks Bey only wants to be friends because she wants something from her now," an insider told British magazine Heat. "But Kanye would love for things to be better and it trying to get Kim to soften. Kanye's spoken to Jay privately and told him the approach may have to be public in some way - that's the way Kim is and not coming to the wedding was a huge snub." Kim and Kanye tied the knot in Italy in May and it had been thought that Jay would act as best man. 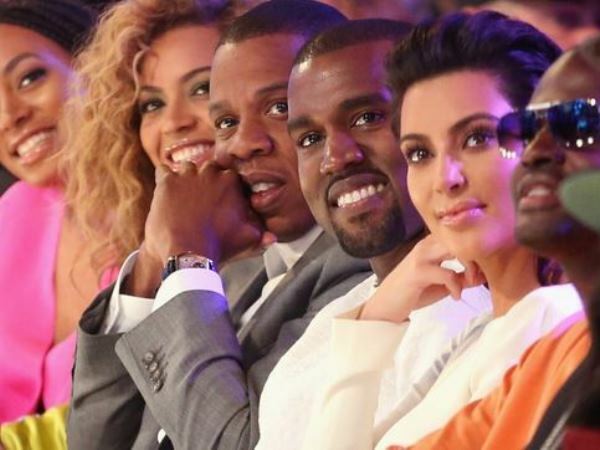 In the end, the A-list couple didn't attend - in part thought to be because Beyoncé didn't want to appear on Kim's show Keeping Up with the Kardashians. "Kim's ignoring her calls so far. Bey's going to have to eat some serious humble pie to make up for all the public snubs she's made over the years and for missing her wedding," the source said. "She's certainly not going to forgive her just because Kim's a bit more famous now and Beyoncé's popularity has taken a hit."